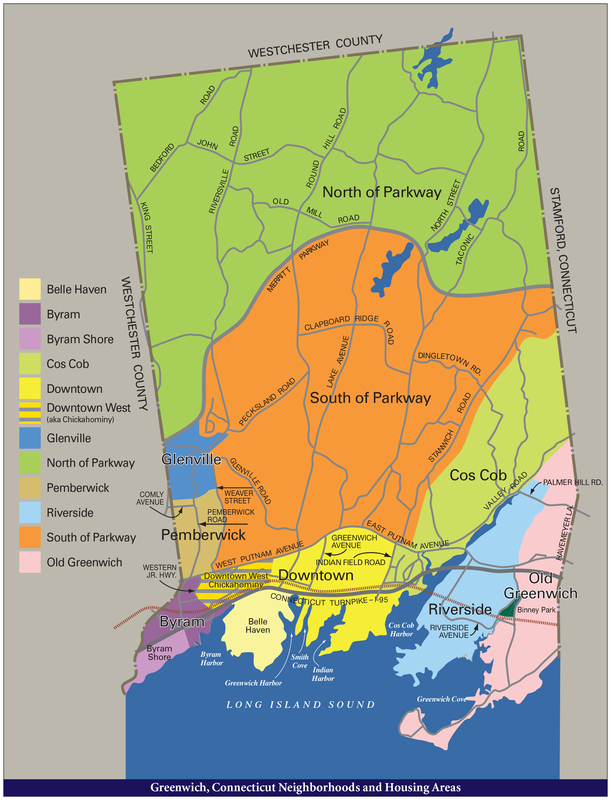 Geography and size: Belle Haven is situated just southwest of Downtown and runs from the southern side of I-95 at Field Point Road to points east, west and South to Long Island Sound. This area breaks down into three sections, the general Belle Haven area, the Belle Haven Association and Field Point Park. The Belle Haven Association area and Field Point Park are private associations that also feature neighborhood security. Parks/playgrounds/marinas/beaches: Belle Haven does not have any formal public parks, playgrounds, beaches or ball fields. There is a private beach at the Belle Haven Club (noted below). Not far from Belle Haven however are the resident-only Grass Island marina and the Island Beach Ferry boat that shuttles to the beautiful island beach daily during the summer season. Recreational membership clubs with facilities: The Belle Haven Club is the only recreational membership club in this area but not far away is the Indian Harbor Yacht Club, the Milbrook Club and many more across town. Shopping and restaurants: There are no shops or food stores within the confines of Belle Haven and the Belle Haven area. However, minutes away in Downtown Greenwich there are several hundred stores offering apparel and accessories, household items, gifts, a variety of consumer goods and three supermarkets. Belle Haven has one restaurant, Thomas Henkelmann, while minutes away in Downtown Greenwich there are dozens more. Transportation: There are no train stations in the Belle Haven neighborhood areas but the Greenwich station is less than one mile from any Belle Haven location. The closest major roadways accessible to the Belle Haven area are Interstate 95 and West Putnam Avenue (Route #1). There are no bus stops in Belle Haven but less than a mile away is stops in Central Greenwich. Travel time to mid-town Manhattan, no matter the mode of transportation, is between 35 minutes to 55 minutes. Neighboring Stamford is no more than 15 minutes away.